Enjoy the wonders of San Francisco, the wine country, and California’s majestic Pacific coast with this comprehensive package. 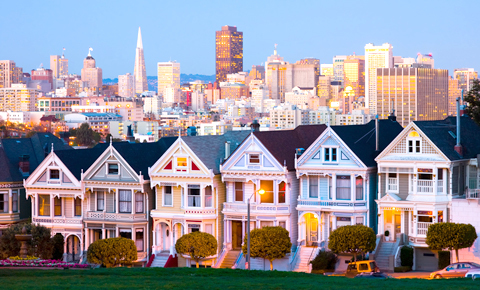 Your vacation begins in magnificent San Francisco, “the city by the bay.” An extensive guided tour introduces San Francisco’s most loved destinations including Lombard Street, Fisherman’s Wharf, Union Square, Chinatown, and much more. And, use free time to ride cable cars, visit world-class museums and restaurants, or shop – whatever your heart desires. Then, a scenic day in the acclaimed Napa and Sonoma Valley wine regions includes visits to three wineries, with tours and tastings at each. On the next morning, cross the iconic Golden Gate Bridge to stroll among the coastal redwoods of Muir Woods National Monument, and the waterfront village of Sausalito. Next, travel south to enjoy the picturesque nature areas and towns of the Pacific coast. 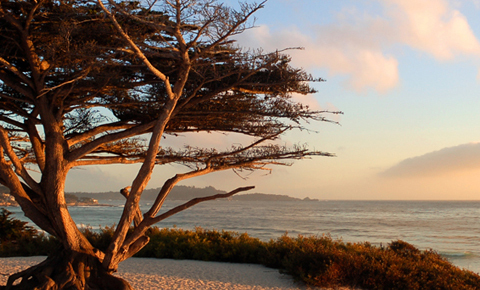 Visit historic Monterey, travel the scenic 17 Mile Drive, and spend the night in charming Carmel. 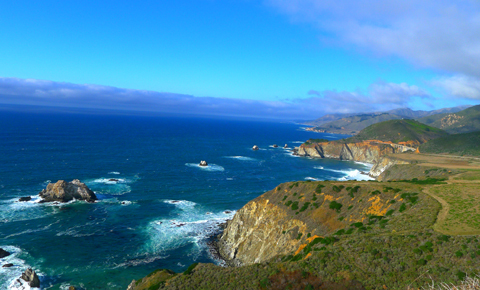 See Big Sur and Hearst Castle, and then return to San Francisco. With the Deluxe Package, you’ll enjoy additional amenities to the points above, and, on the seventh day, head further south to Santa Barbara, Malibu, and the Getty Center or Getty Villa, with evening drop off in Los Angeles. Gold Rush-era Victorians throughout San Francisco complement the towering skyscrapers of downtown’s financial district, the still-active fishing wharfs along the bay, and parks and playgrounds woven throughout the city. For history, architecture, food, culture, and fun, San Francisco offers an unbeatable experience for first-time and returning tourists alike. 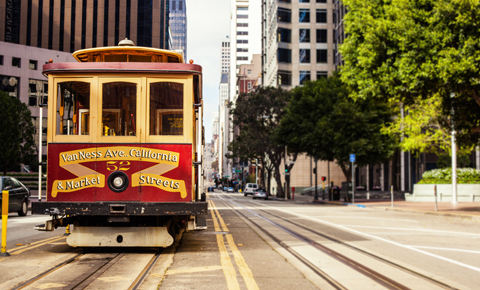 Take a ride on San Francisco’s famous cable cars! Three lines connecting Union Square, Fisherman’s Wharf, and California Street offer unique transportation to points of interest. Some seven million people ride the cable cars each year, making them one of the most popular attractions in the Bay Area. Hold on tight for the ride of your life! Napa and Sonoma Valleys are the ultimate destinations for wine lovers, regardless of their level of wine expertise. Grapes grown in an ideal environment are harvested to create legendary wines. 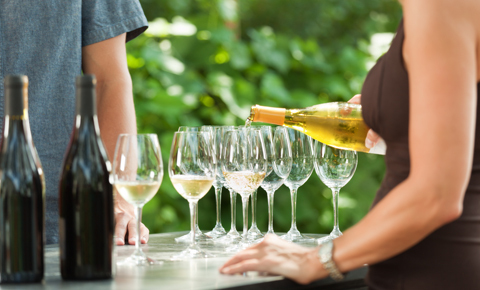 Sample the best of American wineries through our full-day Wine Country tour. And, even those who don’t drink wine will enjoy these peaceful rural areas, with gentle hills and a gourmet lifestyle. 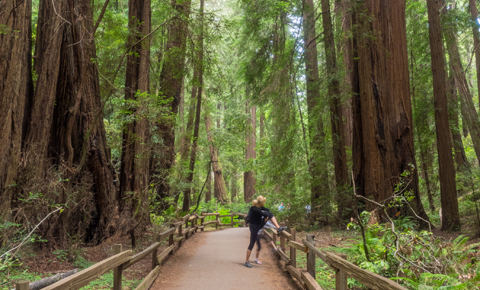 The towering redwoods of Muir Woods National Monument are not to be missed. Trails wind between the redwoods along Redwood Creek in the Cathedral Grove and Bohemian Grove areas. If you’re feeling energetic, climb the Ben Johnson or Dipsea trails for amazing views of the Pacific Ocean and Mount Tamalpais. Or, simply feast your eyes on one of the world’s most unique natural areas. The seaside village of Carmel-by-the-Sea has drawn celebrity residents, inspired artists, and nurtured romance for decades. Consistently ranked among the Top 10 U.S. destinations, Carmel combines white sand beaches, a European-styled village, art galleries, and restaurants to create a relaxing get-away retreat. The rugged Pacific coast is filled with fascinating destinations – from Big Sur and Carmel to San Simeon, the home of historic Hearst Castle. Scenic State Route 1 lures visitors to this sparsely-populated area with sweeping vistas of seaside cliffs, misty coastlines, and the dramatic San Lucia Mountains. The Bixby Creek Bridge on Big Sur is one of the most photographed bridges in the country. These customizable vacation packages include up to six nights’ accommodations and multiple guided group tours. Explore Union Square and Pier 33; visit three wineries in the Napa and Sonoma valleys; explore the coastal communities of Monterey, Carmel, and Big Sur. Hotel check-in. — Free time for shopping in Union Square. Complimentary shopping coupons and Cable Car Tickets provided upon hotel check-in. Overnight in San Francisco. Tour features: Golden Gate Bridge, Twin Peaks, Lombard Street, Civic Center, Chinatown, Union Square, Golden Gate Park, Alamo Square, and Fisherman’s Wharf. Optional: Self-guided Alcatraz tour and Cable Car ride. Full day Napa Valley group guided tour. Tour includes visits to three Napa and Sonoma Valley wineries, with tours and tastings. Tour includes admission to Muir Woods and Sausalito tour. 1 pm Approximate arrival in San Francisco. Evening return to San Francisco. Meet and greet and private airport transfer to hotel. Hotel check-in — Free time for shopping in Union Square. Complimentary shopping coupons and Cable Car Tickets provided upon hotel check-in. Optional: Self-guided Alcatraz tour and Cable Car ride. Full day Deluxe Napa Valley Tour. Tour also includes lunch in Sonoma restaurant. Monterey, 17 Mile Drive and Carmel. Big Sur, Hearst Castle and Solvang. Overnight in Solvang or Santa Barbara. Santa Barbara, Malibu and Getty Center or Getty Villa. Early evening drop off in Los Angeles. * If you would like to book a Classic Package online, click here. Every client receives hands-on personal attention from our professional staff, with over 20 years of experience in tour operations and destination management services. To maximize the client’s experience, we have personally been to every destination, eaten at every recommended restaurant, stayed at every hotel, and been on – and collaborated with – every guided tour. Admissions to Cable Car, Muir Woods Monument, Wineries (tastings), 17 Mile Drive and Hearst Castle. Private transportation from San Francisco to Monterey, Carmel, California Coast, Solvang, Santa Barbara, Getty Center or Getty Villa, and Los Angeles.